Prior to joining LabVantage in 2009, Mr. Voelkner was Americas Sales Manager for the LIMS division of Applied Biosystems. Previously, he was VP of Sales for Thermo Fisher Scientific’s Informatics and Services division and Director of International Sales at Innaphase Corporation. 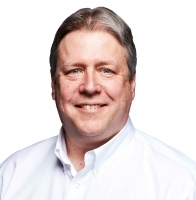 In 1982 he started his career at Beckman Coulter, Inc. as a senior software developer working on creating the first commercial LIMS, and later progressed to Director of Global Sales and Marketing of its Laboratory Automation Operations division. He is a graduate of the University of Scranton with a bachelor’s degree in computer science.